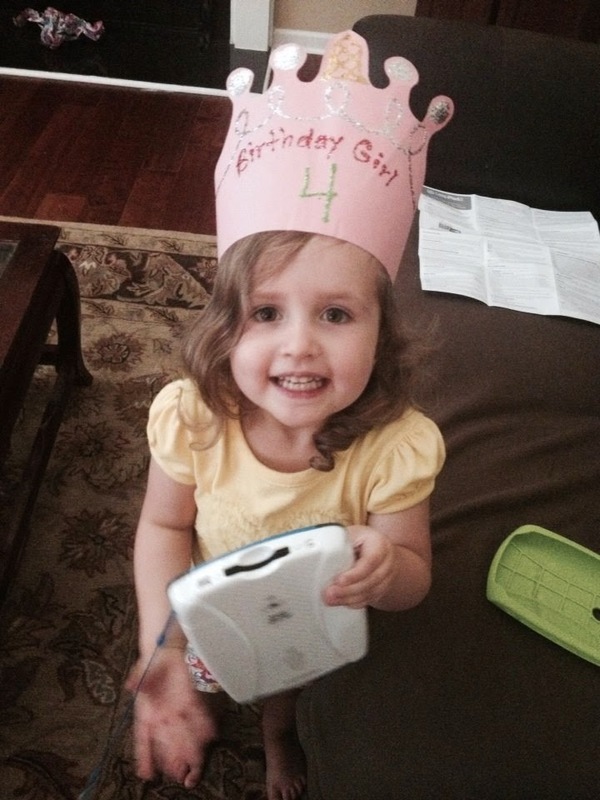 I can hardly believe that my little baby girl is 4 years old! Where has the time gone? You have rolled with the punches through all of this transition and I know change is not easy for you! You're a trooper! 1) SUPER sassy..... good Lord, we will have our hands full with this one as a teenager! 2) So cute..... I mean I know I'm your Mommy, but seriously. You have those gorgeous curls and huge grey eyes and that dimple..... sigh. 3) You have a sweet side too. You are still my snuggler and when you sleep with us you will ofter just say in the middle of the night "Mommy, I love you". 4) Precocious. You suddenly are sounding very grown (and attitudy) and have been known to tell us that this child or that at daycare is "a problem" or was "starting some nonsense". Sometimes you get ahead of yourself and don't make a lot of sense, but often you hit the context on the head and its a bit scary. 5) Getting braver... you are determined to go to Granny's with Bubba this year w/out me. I have some concerns about it but you insist that you're ready. 6) Reluctant..... you like things to be predictable. You like the familiar and don't love change. You hated Disney, don't like anything that is loud or bright (fireworks are a no go), shy and a bit tentative. You're working on getting bolder though and I hope you'll continue to challenge yourself to try new things. You are our sunshine.... your sweet smile could brighten any day! Its hard to let my baby grow up but its so much fun to see who you are becoming! Love you the whole wide world, sweet girl!